Search all homes for sale in the Northwood Elementary School district. Students at Northwood Elementary School come from Roswell, Alpharetta and even Johns Creek due to the location of the school. Be sure to check with the Fulton County website to verify that any home you are interested in buying is located in the school district of your choice as the district lines change from time to time. Search all homes for sale in Roswell here, Alpharetta real estate here and Johns Creek real estate here. 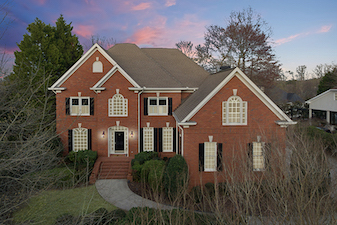 Beautiful brick home with views, in the premier Alpharetta community of ThornBerry - close to GA 400, Avalon and Downtown Alpharetta. New paint, new carpet, new lighting and plumbing fixtures, new ceiling fans, new quartz counters in updated bathrooms, and private...click to view details!